Even though we live in a decidedly high-tech era, there are still many situations that demand the use of a quality hand tool. One such tool that has been of historic utility to humankind as a whole is the venerable axe. 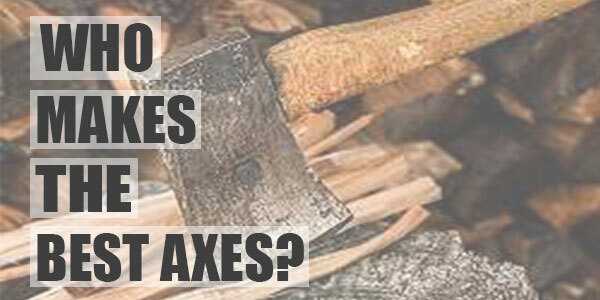 There are many kinds of axes out there, from hand hatchets for the smallest jobs to long-handled monsters that are capable of felling large trees with a couple of swipes.That being said, all axes are not created equally, and people who are looking for the most bang for their bucks would be wise to go with quality manufacturers. That is where we come into the picture. This article will take a closer look at some of the most professionally produced axes that are available on the market today. By the end, the reader will be much better educated about some of the top-rated options out there, and will therefore be better armed when deciding which ones to purchase in the future. On to the reviews! Located in the Swedish village of Gransfors is the forge known as Gransfors Bruks. For over a century, this venerable company has created a business that was founded on the expertise and skill of individual craftsmen, with a constant focus on environmental responsibility and quality. With only 30 employees working in production and sales, Gransfors Bruks still boasts customers in at least 30 nations around the world. No axes are created equally, and the quality of the finished product depends on the skill and experience of the Craftsman that creates it. Each one of these axes is signed with the initials of the smith that created it, as a guarantee of absolute quality. All of the axes that are made by Granfors Bruks is designed to do a specific job. These axes are divided into five basic categories. These categories include: Ancient axes, Double bit axes, Forest axes, Splitting axes, Log building axes, and Carpentry tools. The Kershaw company was brought to life in 1974 with the core mission of manufacturing and designing axes and blades that anyone would be proud to call their own. Practically speaking, this means that every axe produced by Kershaw is of the highest quality. The experts at Kershaw always use the highest quality materials as well as the most dedicated craftsmanship. Cutting-edge manufacturing techniques and very tight tolerances and standards mean that Kershaw axes and blades are known the world unmatched durability. Many of the technologies and techniques used in the knife industry were pioneered at Kershaw. This company introduced interchangeable blades, as well as composite blade technology which fuses two different metals into the same product. Customers can be certain that Kershaw will keep on innovating and bringing the newest and best technology to the market for the foreseeable future. The Estwing family has since 1923 taken great pride in manufacturing and producing some of the world’s best-known and most durable striking tools. With a product line that includes claw hammers, specialty tools, and world class axes, Estwing products are manufactured to the highest possible ideals and standards and truly offer the greatest possible value to tradesmen and craftsmen. Constantly innovating, in the year 2001 Estwing brought to market a new shock reduction grip that gives their customers the safest available grip for reducing impact and vibrations. In addition, this grip offers the highest quality in terms of durability and comfort. This technology is so promising that all of Estwings new tools are being manufactured with this nylon vinyl grip material. Located in the northern Illinois city called Rockford, Estwing is proud to be an all American manufacturer, and their quality axes are sold in leading hardware stores in the United States and indeed around the world. The Fiskars started from humble beginnings in the year 1649 when a man named Peter Thorwoste was provided with a charter to create a blast furnace and forging operation in a small Finnish village known as Fiskars. In the year 1783, the company switched from ironworks to copper and at the same time with taken over by the Bjorkman family. The company continued making items created from copper taken from the nearby mine until the year 1832. At this time, Fiskars founded the countries’ inaugural cutlery mill and increased it’s production range to include Forks, scissors, and world famous axes. In the year 1837, Fiskars founded the first machine workshop in Finland and begin to manufacture some of the first steam engines in the world. Fiskars’ dedication to innovation and excellence continues to this day, and their award winning line of world class axes and hatchets continue to provide unmatched utility for craftsmen and workmen the world over. In 1939 Joseph Gerber founded a young knife company which was then known as Gerber legendary blades. It started out as a business specializing in making small batches of handmade cutlery, and 30 years short years later in 1960 it had become one of the most appreciated and trusted and names in the blade and knife industry . In the 70 years since it came into being, the Gerber company is still growing. It is guided by principles like responsibility and hard work, and continues to be dedicated to making axes and tools that bring together the highest quality materials and the most cutting-edge designs that truly stand up to a lifetime of use and abuse. Gerber continues to bring multi tools, axes, hand saws, and more to the table – with the same high standard of quality and craftsmanship that they have always have. The Husqvarna company with founded in Sweden in the year 1689. The company began by producing what where some of the finest muskets in the world at the time, and since then has continued laying the foundation that has helped to develop some of the world’s finest products in areas such as outdoor products, weapons, and hunting gear. In order to remain as environmentally responsible as possible, the experts at Husqvarna have developed a holistic approach to manufacturing that covers the entire operation from production methods, packaging, and noise to energy consumption and exhaust emissions. In addition to this they always use environmentally compatible materials in their production process and are constantly looking for new ways to be even environmentally compatible and friendly than before. Husqvarna is proud to provide the full range of hatchets and axes for use in just about any situation or environment. their devotion to quality manufacturing and engineering means that all of their customers can expect and can continue to expect some of the best tools that money can buy. In the year 1880 , a man named Sven Wetterling begin manufacturing bark shovels, broad access, and axes in a place called Dalsland in Sweden. By 1889, Wetterlings had become a family business the three blacksmiths of the time were kept constantly busy, creating from 20 to 30 of their signature axes each and every day. In the year 1915 Otto Wetterling died and the surviving brother contacted Magnus Lilieblad from Stockholm and offered to sell him the Forge. Once the sale has taken place the the factory was updated with modern equipment and the modern-day Wetterling forge was founded. Some of the original machinery was still in use right to our present day with the original forging press hammer still cranking out axes until 2014. In the year 2007 Gabriel Branby purchased the forge and kept the old traditions going. Today, Wetterlings still employes 9 skilled craftsmen whose signature axes provide an ongoing statement about the incredible quality, skill, and craftmanship that go into every one of their products. The SOG, or Special Operations Group, was originally a highly classified United States special operations unit that carried a unique kind of combat knife into battle. A generation later, that same SOG Bowie knife proved to be the inspiration that motivated a young designer named Spencer Frazer to found the SOG specialty knife company. Now in 2015, SOG is still going strong. The company still produces a full cohort of world class knives, but is now applying the same core competencies that made them a world leader in that niche to their production of high quality hatchets and axes. Sportsmen and craftsmen the world over are happy to enjoy the same high level of quality that the brand is and will continue to be known for. The Imperial Schrade Corporation was formally an American knife manufacturer that was actually a combination of 5 earlier companies including the Imperial Knife Company and the Schrade Cutlery Company. Even though the name and the ownership of the company has changed several times over the years, the core business is still well known for its high levels of craftsmanship and quality. These attributes can still be seen today in its line of well-made and capable axes and hatchets. Morakniv has been making knives and axes in the town of Ostnor for well over a hundred years. These tools were made in every home at one time and the skills were passed down from father to son from generation to generation. In our modern day, these core competencies can all be found in one building and this can be evidenced by the outstanding products that continue to be produced by this venerable organization. At Morakniv, they do an amazing job of melding traditional craftsmans’ techniques with modern tools. This fusion has resulted in products of the highest quality, including their comprehensive line of hatchets and axes. Hultafors was born in the year 1883 when engineer Carl Kollen invented a measuring device that heralded Sweden’s entry into the metric system. Up until the 1970s, the products made by Hultafors were mostly measuring tools made from wood. That said, by the early 1980s the company had grown and developed into a force on the world stage. Along the way, Hultafors’ range of products has expanded to include sledge hammers, pry bars, hammers, and even an axes. This expansion and dedication to quality and craftsmanship continue well into the 21st century, and individuals who purchase Hultafors axes and other fine products know that the tools they are using are indeed second to none. Columbia River knife and tool or CRKT is a company that was founded by Rod Bremer in 1994 in Oregon. CRKT offers customers a large and comprehensive the line of work, professional, and sport knives and tools that are driven by purpose. CRKT is known for custom designs and innovative thinking that delivers quality products for daily use at affordable prices. Columbia River knife and tool axes are created using the most cutting-edge equipment and production systems available today. Prospective customers will be pleased to know that CRKT’s historic core values of innovation, quality, and value, remain unchanged and are fully reflected in their award winning products. Cold Steel Inc. was brought to life in the year 1980, and since that time has been dedicated to being one of the leaders in making some of the sharpest and strongest knives anywhere on the planet. 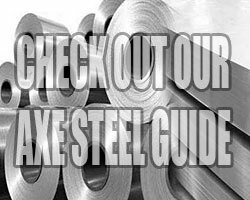 Over the last 30 years, cold steel has introduced many innovations that have helped to define and move forward the entire knife and axe making industry. Accomplishments such as Kraton handles and tanto point blade styles have gone from fringe offerings to mainstream features that are known to be marks of sophistication and quality. Cold steel goes beyond just knife making, and is proud to introduce its comprehensive line of axes and hatchets that are sure to match anything else on the market. Gardena was founded in 1961 in Ulm, Germany, and over that time has developed from a relatively small trading business for garden tools into a globe-girdling manufacturer of products and systems for garden care. Throughout the years, Gardena has been responsible for many innovations including quick change click accessories, cordless lawn edging equipment, and a wide range powerful cutting and pruning tools. Gardena does not stop there, but also has produced competitive line of hatchets and axes that are suitable for any job under the Sun. The original Helko business was started by an early member of the Helsper family in the year 1844 in Cronenberg. This business, which was known as the Helsper Tool Factory earned a reputation all through Europe as a creator of wood working tools of the highest quality. In the decades since this time, this organization has constantly continued to improve the scope and quality of its products. Because of this ongoing effort, Helko axes are have gained worldwide recognition as some of the finest tools available for working with wood.